At the start of 2011, Ireland is still attracting a good level of inward investment. In many ways the country is down but Exports have never healthier and there is a growing trickle of new announcements. Let’s sit tight, keep our fingers crossed, believe in ourselves, and ride this one out! 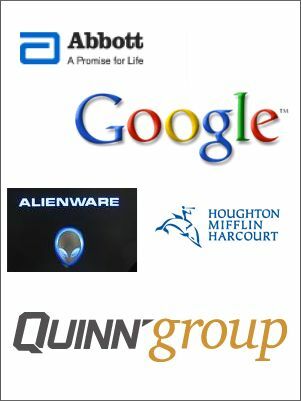 Our picture shows some of the major Companies (Irish and International) who are based successfully in Ireland. Can we attract some Businesses of this calibre to the Lough Allen area? It is a time for change, new plans, and being ready when the economy starts to grow again. Leitrim has huge advantages; we need to prepare and we need to promote the area!